Welcome to the wonderful world of sign language where you will use your hands, body and facial expressions to communicate. People use spoken and written languages to relay ideas, feelings, sentiments, share history and culture. Deaf people use sign language to express similarly. Deaf culture is the set of social beliefs, behaviours, art, literary traditions, history, values, and shared institutions of communities that are influenced by deafness and which use sign language as the main means of communication. Sign language is a general term which refers to a group of languages that are manually produced and visually understood. Sign language is natural to deaf persons who do not orientate their lives to the world of sound. 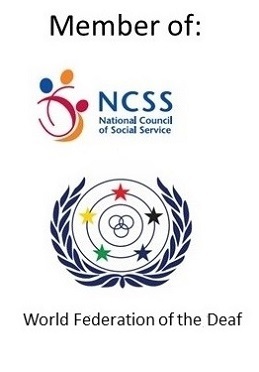 It is not universal though – each nation, state or community with deaf persons will develop its unique sign language. 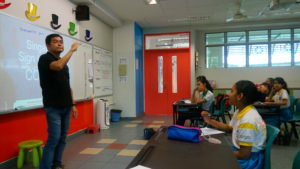 A language of the Deaf community in Singapore. A language of Deaf community in the United States and most of Canada. Manually coded English system in hand signs. MIxture of sign language and English in English order. We offer a range of sign language courses and customised Deaf awareness workshops/programmes. We also cater to the needs of frontline professionals such as medical staff, police, emergency and social workers.